I had added the very nice looking blog Edit Room, a most welcome continuation of the now sadly defunct SubalternCinema (see definition), to Film Studies For Free’s blog roll a little while back (annoyingly for me, though, not in time to add it to my – it turns out, non-updateable – scholarly blog poll…). Anyhow, I just got round to taking a much closer look at this wide-ranging blog (up and running since January 2007) and I think it has an enormous amount to recommend it to film-studies scholars and students. the inaugural issue of Wide Screen aims to critically re-examine cinema against the backdrop of existing hegemonies and re-conceptualise the cinema located in the gaps of the popular. We invite critical papers on “subaltern cinema” and the “subaltern” in cinema. Wide Screen is edited by Kishore Budha, of the Institute of Communications Studies, University of Leeds, UK, Gopalan Ravindran, Dept. of Mass Media and Communication, University of Madras, India, and Kuhu Tanvir, a journalist with NDTVmovies.com, an Indian television news and entertainment company. To return to the subject of the Edit Room, which is also run by Budha, Ravindran and Tanvir, this blog is usefully organised around the following film-cultural and film-studies related categories: Books, Call for Papers, Film and Politics, Film and Society, Film and Technology, Film Festivals, Film Industry, Film Policy, Film Reviews, Film Theory, Must Read, and Uncategorized (!). There is a welcome emphasis, across all these blog-post categories, on global, subaltern, articulations of cinema, and some really high quality reflection, in particular, on Hindi, Tamil, and other South Asian cinemas. 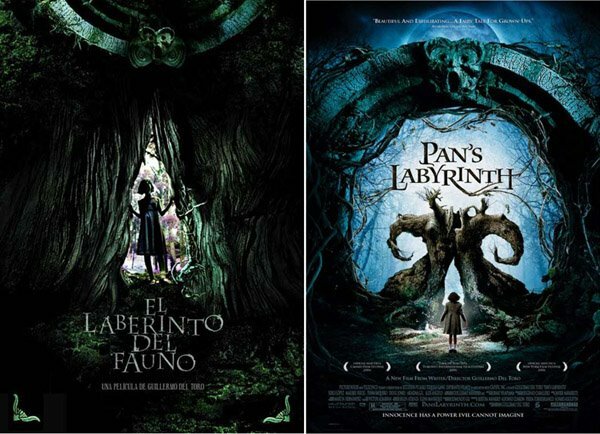 But one of the items in the Edit Room that most caught my eye (with my own particular research interest in contemporary auteurism, as well as in Spanish-language cinema) was Kuhu Tanvir’s discussion of Guillermo del Toro’s 2006 film Pan’s Labyrinth (El Laberinto del Fauno, Mexico/Spain/USA). Tanvir’s article, entitled Pan’s Labyrinth of History (also accessible via the Edit Room’s Must Read category page), explores the allegorical and fantastic aspects of del Toro’s film more deftly, concisely, and powerfully than any other piece of writing on the film that I have yet come across (and I have read quite a few…). In a film based on a fascist camp in Spain during the Second World War it would be easy to think that Ofelia [the film’s young protagonist] will use the fantastic as a space where she can escape Vidal [her new step-father] and his cruelties. And that del Toro will use the fantastic as symbolic of the real, in a way masking it. This is precisely what he does not do. Tanvir wears her undoubtedly fine scholarship nice and lightly. She is as happy to support her argument with quotes from good quality online interviews with del Toro (such as this About.com one HERE) as she is with theory drawing upon Hayden White’s “The Value of Narrativity in the Representation of Reality“. And why shouldn’t she, and we, be happy thus? ‘Open Access’ oughtn’t just to mean ‘open and accessible’ in a mere technical sense, but also ‘open and accessible’ intellectually, wherever possible. Tanvir’s article, in particular, and the Edit Room, in general, are rich, scholarly, open, and accessible resources, as, I’m sure, the Wide Screen journal will also be in due course. Good luck to the latter and I hope that FSFF‘s readers will both enjoy and benefit from exploring what it and its stable mate have to offer.